You Hungry? Peanut Butter And Jelly Is The New Trend Your Hair Is Craving! We have all been there, 'I want to change up my hair but don't want to chop it' off OR 'I want to colour my hair, but nothing too drastic.' To make things tougher, there are all sorts of hair trends that keep sprouting up on Instagram, that make us rethink our choices. But finally, we have a hair colour trend that is natural and fun. It was exactly what we were waiting for. 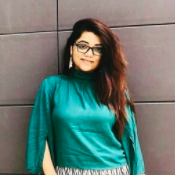 If you too were on a lookout for a colour that's not too vibrant and yet gives you a stark makeover, this one is for you as well. Peanut butter and jelly hair is where it's at! 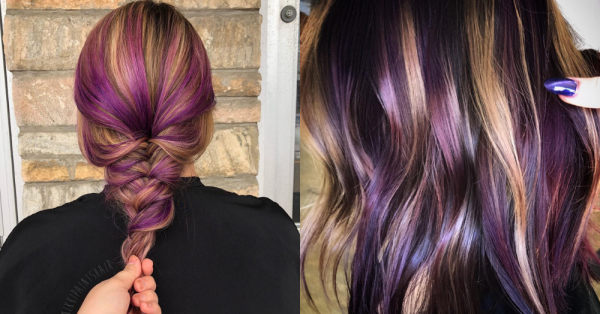 Hairstylist Megan Schipani just created the "PB and J" hair colour trend and we couldn't help saying 'wow'. This is what the 'delicious' trend looks like. Since then, the trend has caught on and many, many Instagrammers followed suit. Here's how the PB and J looks on Instagrammers with black hair. Isn't this just exactly what we were looking for? Something sassy but not too over the top? Almost all brands have a range of colours that can give you this look. "Depending on your natural color, you might have to lighten it to a level 7 in order for all of the shades to show up," she said. "I do think that the purple and maroon appear brighter on hair that has been pre-lightened so as long as you are willing to do that, then you can definitely have PB and J hair." Colour some of the lightened streaks with the jelly hair colour while you let the others remain bleached. This will give you a good mix of hair colours that will look perfectly like peanut butter and jelly. In case you want the peanut butter dimension to show more, you can spray L’Oréal Paris Colorista 1-Day Spray in Rosegold and Gold here and there. This will totally give you the chunky look that you want. Are you going to try this trend out?